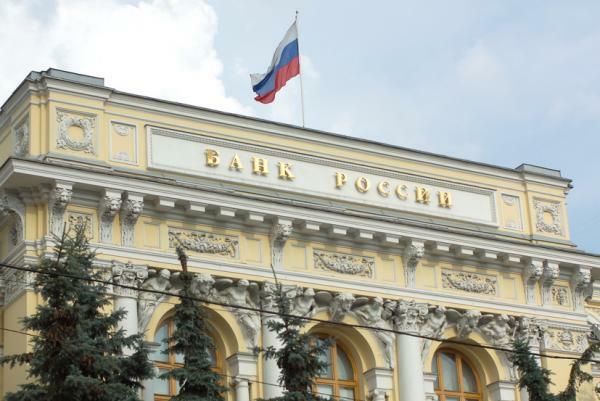 MOSCOW, Oct. 14 (UPI) — The Central Bank of Russia said Thursday there was reason to be optimistic about an upgrade to its credit rating given the pace of economic recovery. Central Bank Gov. Elvira Nabiullina said Thursday the rate of inflation is expected to be close to its low-end outlook of around 5.5 percent this year. She was quoted by news agency Tass as saying the bank expected Fitch Ratings to revise its sovereign rating for Russia upward. “We hope the rating will be upgraded, and there are reasons for that, such as the macroeconomic stability, sustainability, economic revival,” she said. According to Fitch, its next review for Russia is due Friday. Last month, the Central Bank of Russia cut its lending rate for the second time this year, adding that it’s possible the economy moves out of recession this year. Growth in gross domestic product won’t be any stronger than 1 percent next year, however. The government already transferred $6 billion out of its reserve fund to cover a budget shortfall and, according to Fitch, that fund will be depleted by the end of 2017. Looking ahead, the ratings agency said budget tightening efforts won’t be as robust as they’ve been this year as the deficit shrinks from 3.9 percent of GDP to 2.8 percent next year. The International Monetary Fund said Russia was moving through a fiscal adjustment period that started in 2015, though there are prospects for “modest” recovery starting in 2017. Nabiullina in early September said inflation was moving within the target range and external conditions were favorable for the oil-based economy. The trajectory for oil, one of the main sources of revenue for Russia, was highly uncertain, she said. Russia last month issued a joint declaration with Saudi Arabia that called for artificial action to control supply and demand in the energy sector and thereby lift crude oil prices from historic lows. The price of oil has recovered to around $50 per barrel, after dropping below $30 per barrel earlier this year. Recent price support came after members of the Organization of Petroleum Exporting Countries agreed to work on a production cap later this year. The Kremlin has offered mixed signals on the OPEC arrangement. Russian oil company Rosneft, meanwhile, aims to increase crude oil production at Far East operations by as much as 20 percent to around 3 million barrels.